WASHINGTON — U.S. home prices rose at a faster year-over-year pace in October than in September, snapping a seven-month slowdown. And in the Portland-Vancouver area, they rose a little faster still. In the Portland-Vancouver-Hillsboro area, CoreLogic reported that home prices rose 7.7 percent on an annualized basis in October — but declined 0.2 percent from September. Previous price increases led investors to pull back from the home market, and first-time buyers have yet to fill the void created by their departure. Price growth will likely remain mild as a result, CoreLogic said. The firm projects that home values will rise 5.1 percent over the next 12 months. 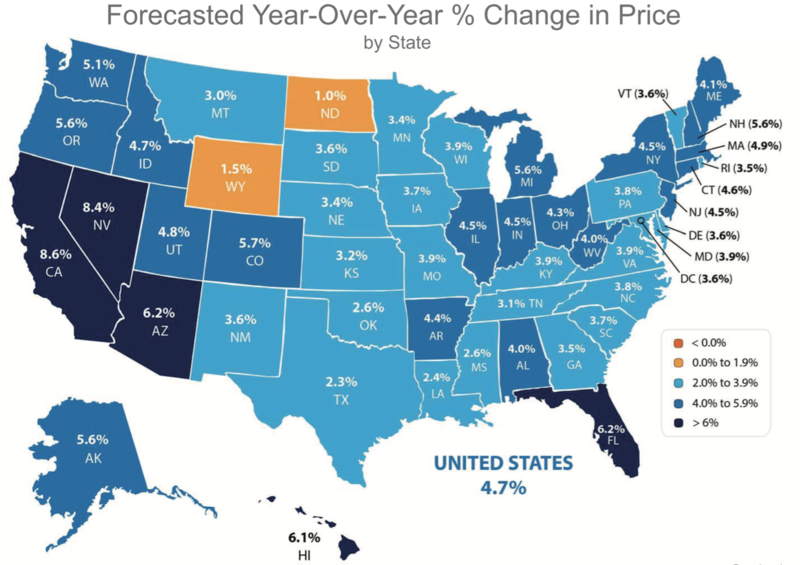 Roughly half the country's homes will match or surpass their pre-recession prices by mid-2015, it predicts. Every state reported a price gain in October. CoreLogic said prices reached new highs in Colorado, Louisiana, Nebraska, New York, North Dakota, South Dakota, Tennessee, Texas and Wyoming. In 27 states, home values are within 10 percent of their previous peaks. There are still pockets of the country — including parts of Texas, Seattle and Denver — where prices are rising faster than in the rest of the country because of their relatively strong job markets, incomes and home prices, said Sam Khater, deputy chief economist at CoreLogic. Other real estate companies have forecast a sharper slowdown in price gains next year. Zillow, the online home marketplace, released estimated Tuesday that home values will rise a mere 2.5 percent nationwide in 2015. That slowdown should ultimately help bring more buyers into the market and increase sales, said Stan Humphries, Zillow's chief economist.